Based on the short novel Bruges-la-Morte by Georges Rodenbach, the plot relates a young widower's obsession with his late wife. Within two years of its premiere, this work had been performed around the world, including several performances at New York's Metropolitan Opera House. 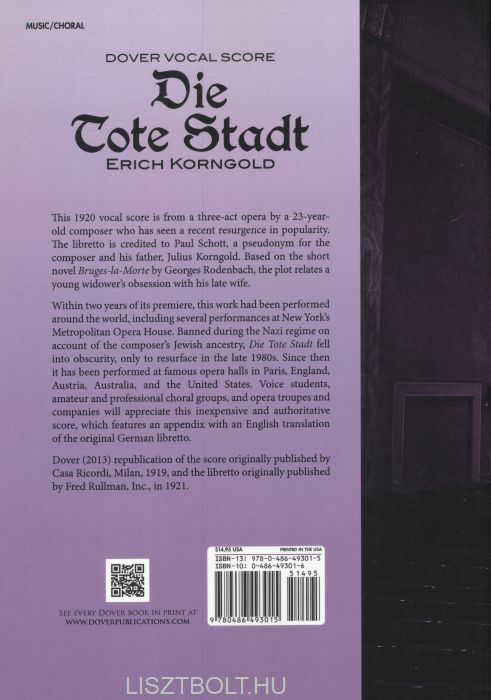 Banned during the Nazi regime on account of the composer's Jewish ancestry, Die Tote Stadt fell into obscurity, only to resurface in the late 1980s. 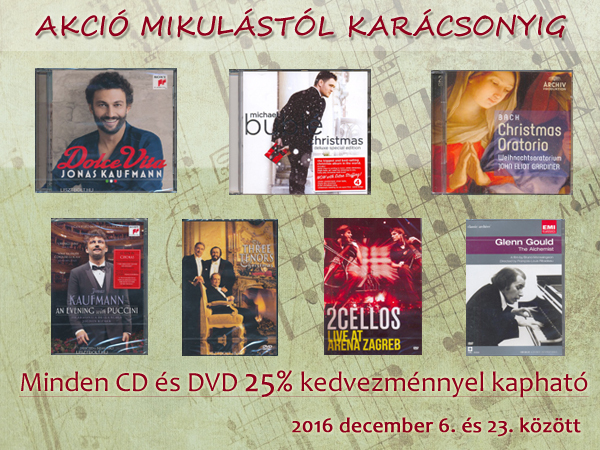 Since then it has been performed at famous opera halls in Paris, England, Austria, Australia, and the United States. 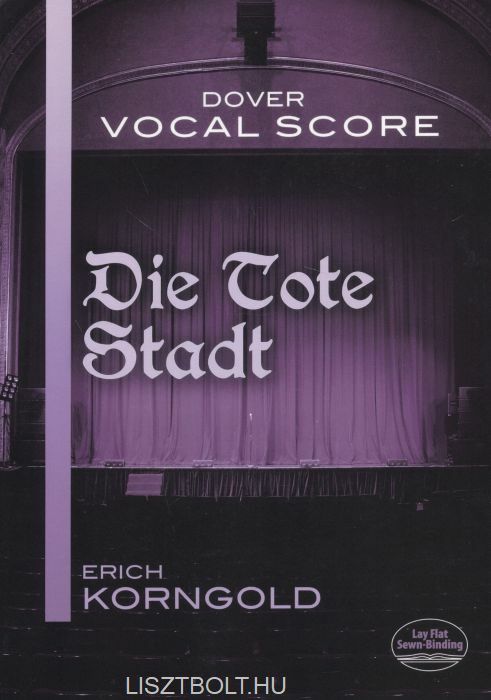 Voice students, amateur and professional choral groups, and opera troupes and companies will appreciate this inexpensive and authoritative score, which features an appendix with an English translation of the original German libretto.